My name's Nicole - a Toronto-based makeup addict. Welcome to my corner of the web where I share my love & experiences with all kinds of beauty, makeup & skincare products. Head on over to my About Page to learn more about me. When it comes to Summer, everyone is all about that glow. Well, at least I know I am. Understandably, one product can work for someone, but not the other since everyone's skin is different. Luckily, there are quite a few choices of products that'll help you achieve the very desired summer glow look. I never grasped the concept of liquid highlighters up until recently. Or maybe I just didn't know how to use them correctly until now. However, I find that liquid highlighters are the most natural looking option when going for the lit from within look. Whether mixing it in with your foundation or stippling it onto the cheeks, it looks so natural because your skin pretty much soaks it up. Lately, I've been getting a kick out of Benefit's High Beam, a Tanya Burr highlighter, and the CoverFX Custom Enhancer Drops in Moonlight. This is pretty much my go-to option all year 'round. It's so easy to just pop onto the cheekbones (and wherever else you want to highlight) and always looks great. There are so many good powder highlights in the market right now that come in so many different shades. 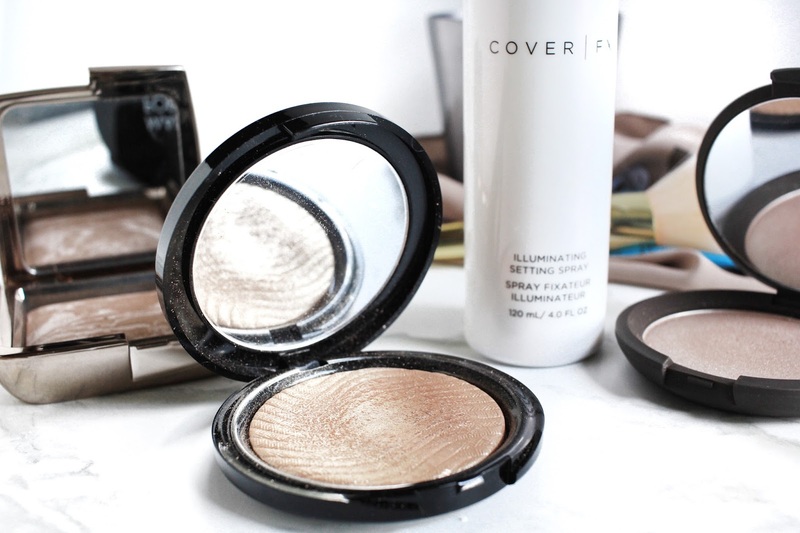 But my go-to shade during the warmer months is anything gold. My favourites at the moment are the Make Up For Ever Pro Light Fusion Highlighter in 02 and Becca Shimmering Skin Perfector in Opal. This one is sort of different from the rest because I'm talking about Benefit Watts Up. If you've read my blog long enough, you'd know I hate it for the face. However, I found a new use for it which is on the body. I like swiping this on my collarbone and shoulder so that it looks like I have super healthy skin. Though the Watts Up threw me off, I'm still intrigued by other glow sticks like the Milk Makeup Holographic Stick and Glossier Haloscopes. I love luminous foundation for the simple fact that it makes the skin look so healthy and glowy. It gives a look of youthfulness that I'm sure everybody appreciates. I especially like this look for when summer comes around because when the sun hits the face, it looks really nice. A foundation I've been using a ton is the Becca Aqua Luminous Perfecting Foundation. This is something new I'm introducing to my Summer line up. I was never a fan of shimmer bronzers until the Hourglass Ambient Lighting Bronzer in Luminous Bronze Light came into my life. The shimmer in this powder is very fine, so it doesn't look like chunks of glitter on your cheeks. Instead it gives a beautiful, healthy bronzed look to the face that is still glowy. The last option is an illuminating setting spray. Something that you mist all over the face once you're finished all of your makeup. 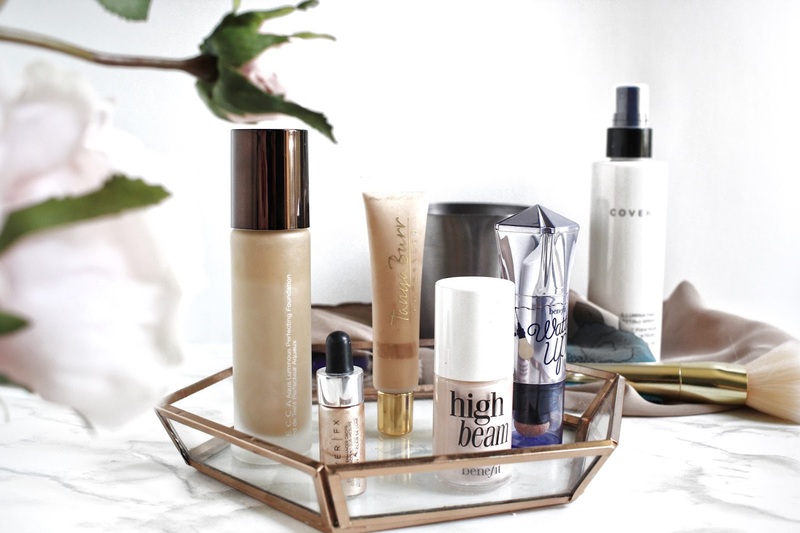 I'm not too sure if there are many out there, but I really like the CoverFX Illuminating Setting Spray one. It's a really light mist that doesn't just spurt out, but simply gives a nice sheen to the skin. It may not look like it gives a ton of glow, but once you step into the light, you'll see a difference. What are your favourites to achieve the summer glow? © The Glam Surge • Theme by Maira G.